Sam’s Club credit cards: Safer chip-enabled technology enters the U.S.
Sam’s Club beat Target to the punch with safer credit cards. Target suffered that horrific data breach. But Sam’s Club—a subsidiary of Walmart—beat it to the punch on rolling out a safer credit card. Sam’s Club announced this week that it will introduce a new Sam’s Club MasterCard on June 23 that features chip-enabled technology, a payment card technology considered vastly more secure than the magnetic strips found on most cards in the U.S. Cards with magnetic strips can be easy to counterfeit because they contain a single, static security code. But those produced with chips generate a different security code for each transaction, which makes them significantly harder to replicate. Chip-enabled credit cards are popular in Europe but so far have failed to catch on in the U.S. Merchants have been reluctant to integrate chip-based cards because they require a different kind of reader than the swipe ones we’re used to seeing—meaning an overhaul would be expensive. The financial system is also currently structured such that card issuers usually end up picking up the tab in the event of fraud, giving retailers little incentive to change their systems, says Jeanine Skowronski, a credit card analyst for financial services firm Bankrate.com. Starting in October 2015, credit card liability rules will change to hold whichever party has the less advanced technology—merchant or card provider—liable for any instances of fraud. While that date is still a ways off, a slew of high-profile data breaches—most notably at Target late last year—has drawn national attention to cybersecurity and consumer safety. 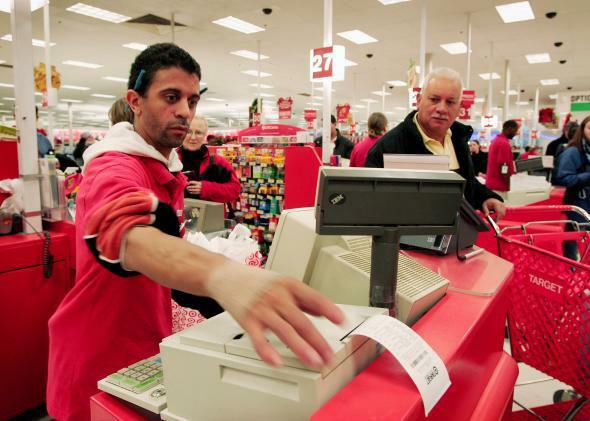 In the wake of the breach, Target accelerated plans for its own chip-enabled cards, but they still aren’t expected to complete the transition until early 2015. Sam’s Club began integrating chip technology seven years ago and all of its locations already have chip-enabled sales terminals, said company spokesman Bill Durling. The new Sam’s Club MasterCard—which features both a chip and a magnetic strip, so that it can still be used at other stores—has been in the works for more than a year. That said, a word to the wise: Because the new Sam’s Club Mastercard comes with both a chip and a magnetic strip, it will be as vulnerable to fraud as any other when used for a normal swipe. Until everyone makes the switch, Sam’s Club is hoping that’s one more reason you’ll choose to shop with them.